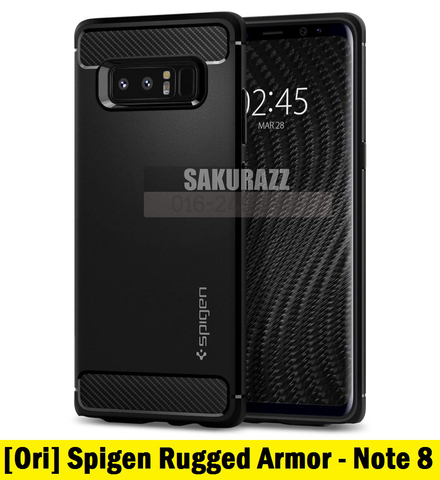 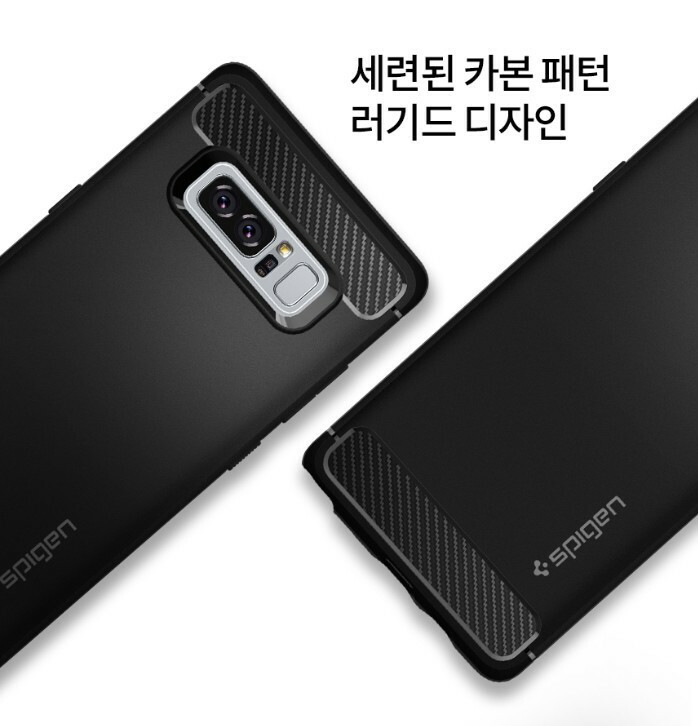 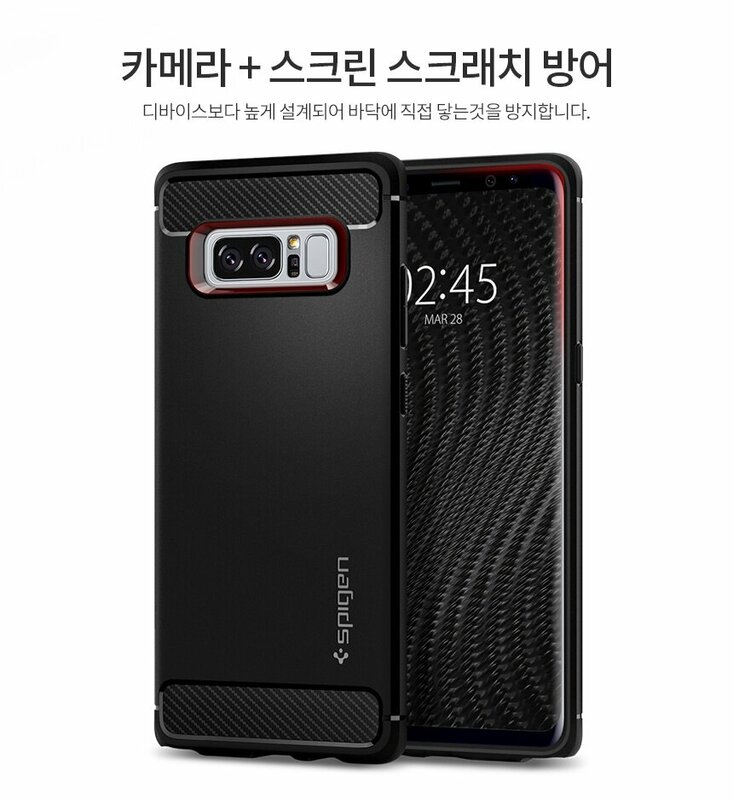 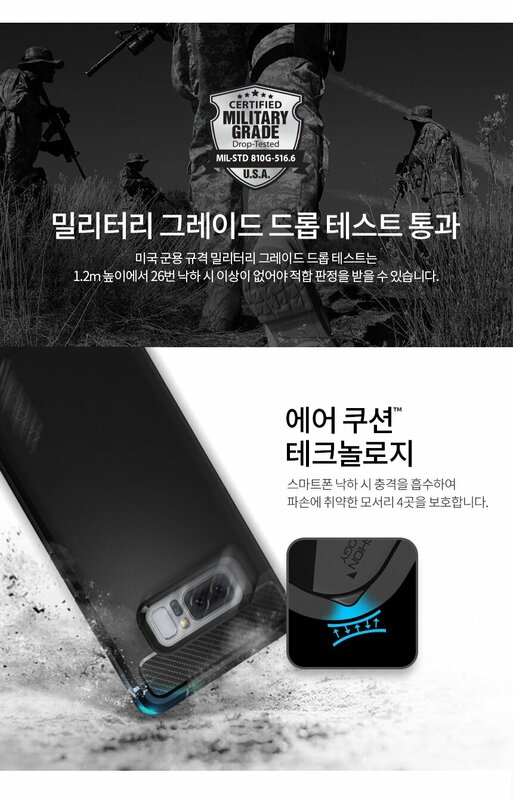 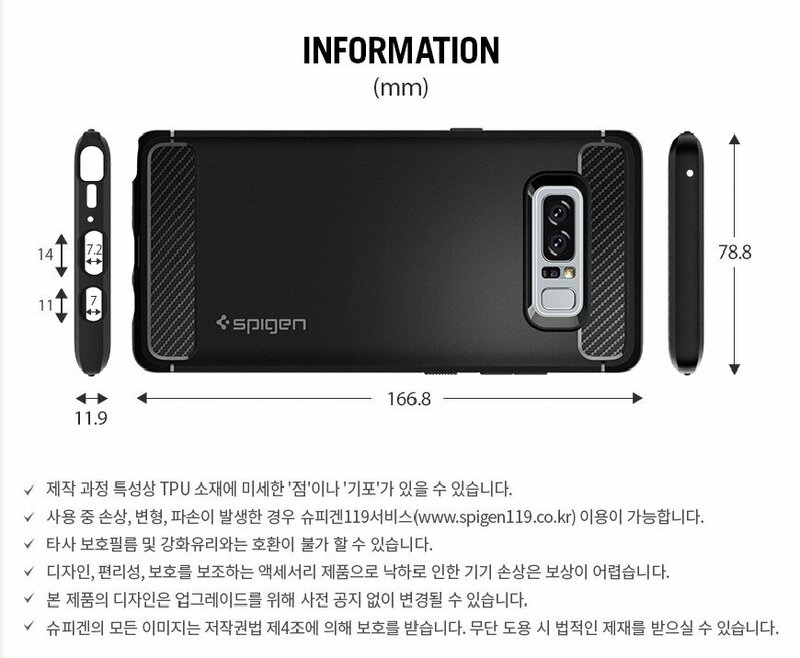 Spigen TPU Rugged Armor Series Anti-Shockproof Phone Case for Samsung Galaxy Note 8 (Black) – Sakurazz - Where Service Matters. 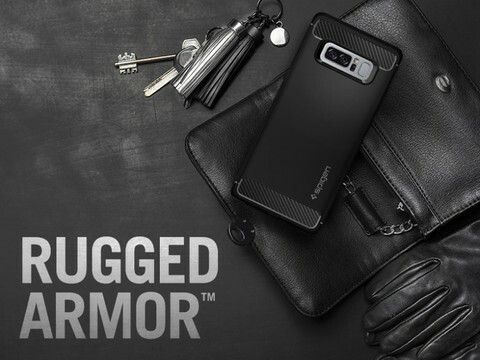 Rugged Armor™ still remains a fan favorite for the amount of style and protection packed in a single layer. Its signature matte black with carbon fiber details are timeless but also prepared for impact. 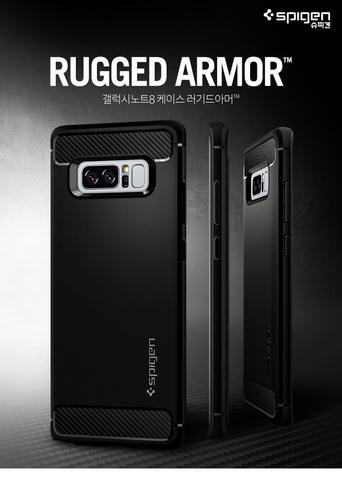 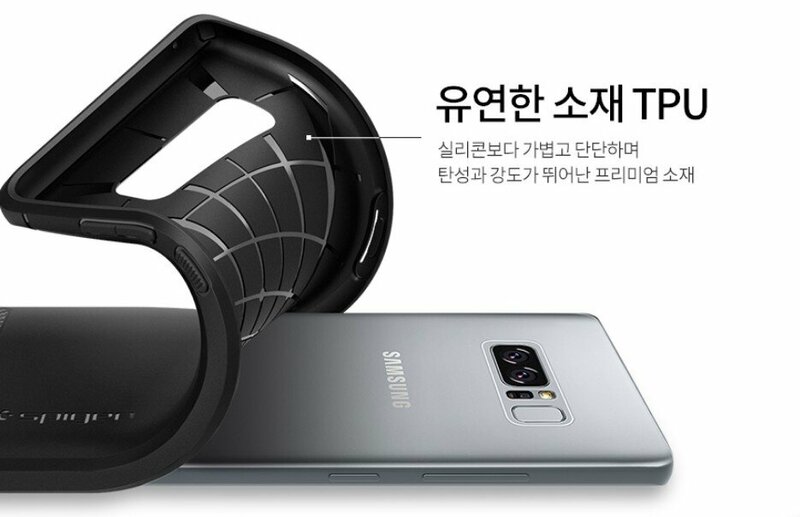 Every corner is guarded with Air Cushion® Technology while edges are raised to protect the screen and camera. Precise cutouts provide easy access to features with zero delay. 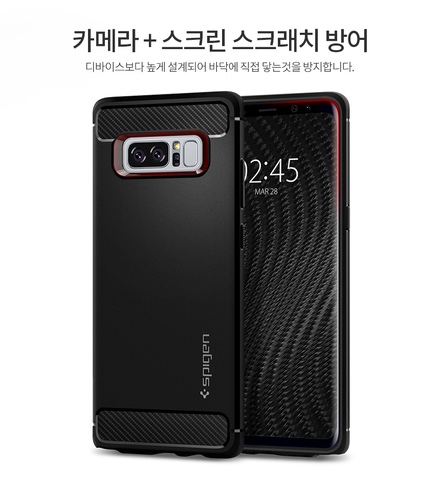 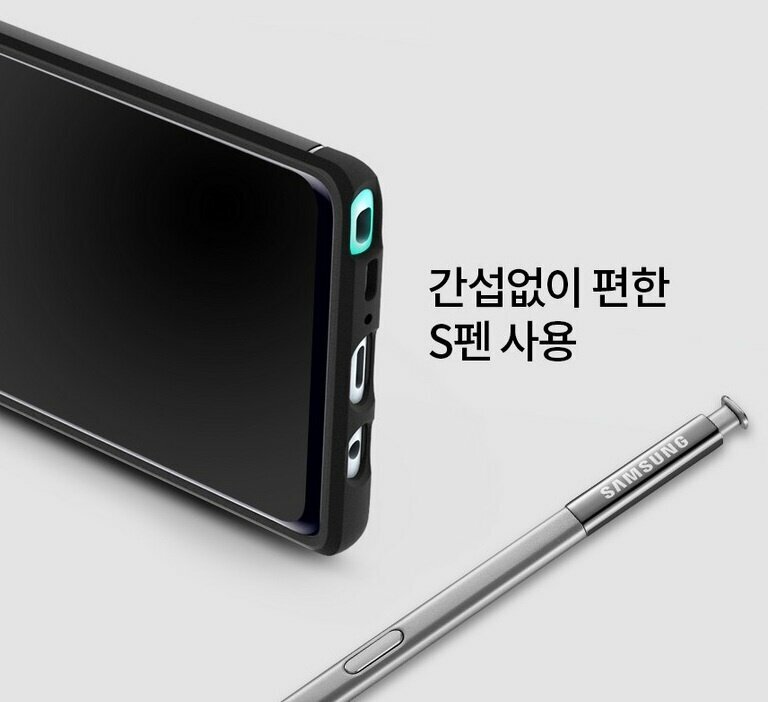 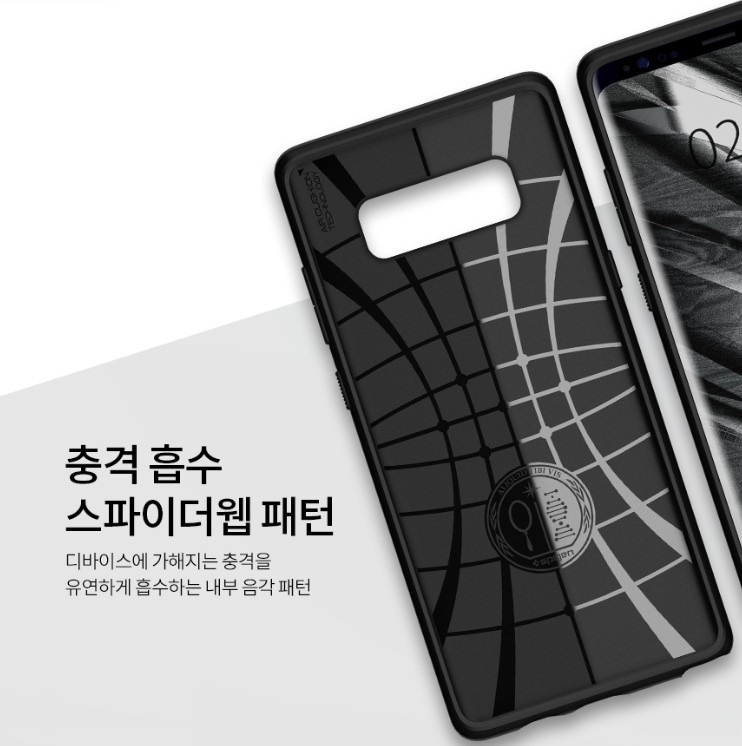 Encase the new Note 8 for unrivaled look and protection.